We provide a five star friendly service with a personal touch, and very competitive prices, any requests or personalisation considered. Please also contact us if you can't see a particular item and we will do our best to get it in stock for you. 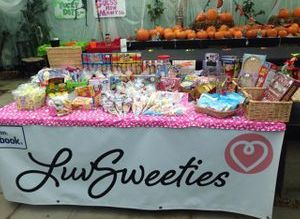 At LuvSweeties.com, we are focused on providing the very best in pick n mix, hampers, gift boxes, wedding favours, personalised party bags & sweetie cones… to the highest levels of customer satisfaction - we will do everything we can to meet your expectations, requests and dietary requirements. With a variety of offerings to choose from we’re sure you’ll be happy with your sweetie selection. Look around our website and if you have any comments or questions, please feel free to contact us. We hope to see you again! Check back regularly for new updates to our website and for the latest offers. There’s much more to come!